This entry was posted on Monday, May 10th, 2010 at 12:00 am and is filed under Comic. You can follow any responses to this entry through the RSS 2.0 feed. You can leave a response, or trackback from your own site. 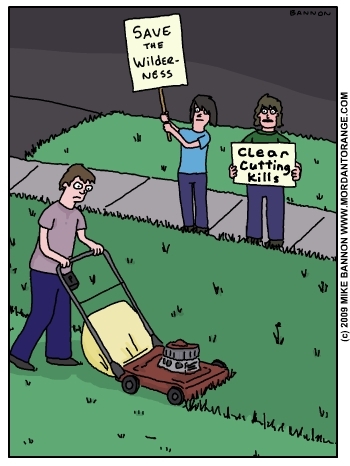 They should chain themselves to the lawn. looked like our lawn up until today! I can hear the grass crying out in anguish!